New Year is a time for sweeping gestures that clear off the surfaces of our lives, clarifying what we could have done, if only our daily habits hadn’t hijacked our best intentions. In that new year spirit, I share this story of Book Love, a beautiful tradition that welcomes babies to Peaks Island. This is a story that I’ve been meaning to write for many, many months. 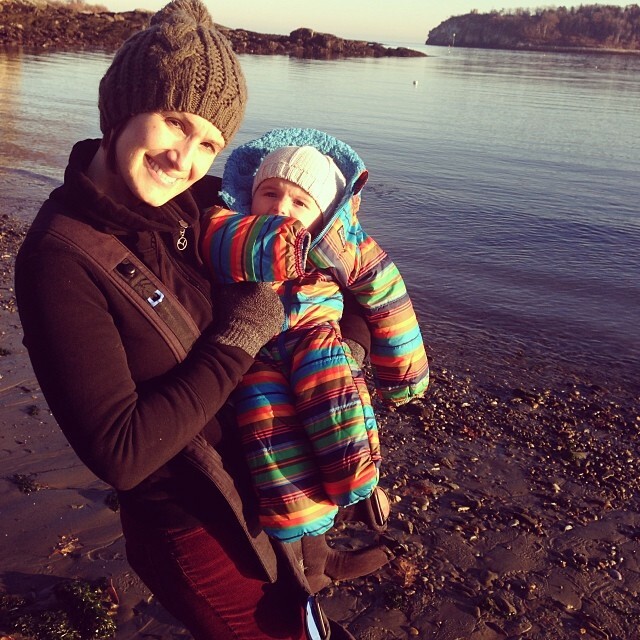 Enter island author, Mira Pitacin (and her little Theo), to whom I’m grateful for helping me share this tradition. Many Peaks Islanders have met Mira, a creative nonfiction and children’s book author whose essays have appeared in everything from New York Magazine to Epiphany Literary Magazine. A graduate of the MFA program in nonfiction at Sarah Lawrence College in 2009, Mira currently teaches writing at another of her alma mater, the Salt Institute for Documentary Studies. Mira writes of her transition to Peaks Island in one of her recent articles, “Is a Baby a Luxury?” (published in Guernica: A Magazine of Art & Politics): “One morning in October, ten weeks after moving to Maine, I woke up feeling awfully nauseous. A chemical stick revealed that the life of our little family was about to change. We were overjoyed. But not insured.” The heartbreak, joys, and angst of the journey to motherhood and the economics of health insurance and child-rearing are among the life-stuff that Mira bravely charts for her readers. The “unexpected guest” a.k.a. library book angel was island resident, Kathryn Moxhay, a member of the library Friends group that shares this book love, celebrating new readers one birth at a time. Peaks Island Press offers behind-the-scenes glimpses of a vibrant, literary community perched on Peaks Island, two miles off the coast of the beautiful and award-winning city of Portland, Maine. Thanks for this, Patricia. I met Mira and Theo on the ferry. What a delight! Island baby love runs deep on the Rock!